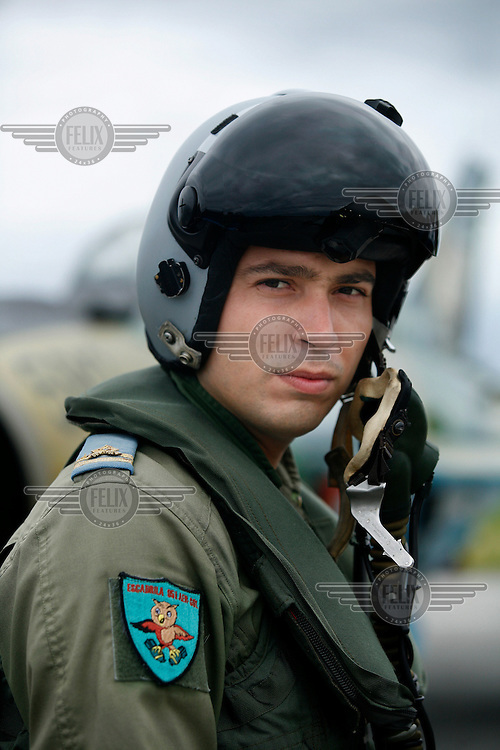 MiG-21 F pilot Dan Rogoz of the 95th Air Force Base from the Romanian Air Force. BOLD AVENGER 2007 (BAR 07), a NATO air exercise at Ørland Main Air Station, Norway. BAR 07 involved air forces from 13 NATO member nations: Belgium, Canada, the Czech Republic, France, Germany, Greece, Norway, Poland, Romania, Spain, Turkey, the United Kingdom and the United States of America..The exercise was designed to provide training for units in tactical air operations, involving over 100 aircraft, including combat, tanker and airborne early warning aircraft and about 1,450 personnel.